What are the advantages of buying Certified Pre-Owned? Great experience on last service stop. Service rep (Chris) was professional, knowledgeable and very thorough. All work was completed timely without unnecessary delays. Very pleased with the stop and service received. At Mike Smith Chrysler Jeep Dodge Ram in Beaumont, TX, we truly believe there’s a new Chrysler, Dodge, Jeep or RAM model that will meet your driving needs, and we’re ready to prove that to our customers. Mike Smith Chrysler Jeep Dodge Ram knows that new RAM 1500, 2500, Jeep Wrangler Unlimited, Cherokee and Dodge Charger vehicles are a great investment that are made to last. We also realize that some of you are looking to save a bundle of Franklin’s the next time you decide to commit to a new set of wheels. That’s why Mike Smith Chrysler Jeep Dodge Ram offers a vast selection of used cars near Vidor, Nederland, Orange, TX and Port Arthur. Here, you’ll find used Chrysler, Dodge, Jeep and RAM models among other brands, all thoroughly inspected to ensure they meet our high quality standards and are ready to go the distance. Curious to learn more? Feel free to stop in to Mike Smith Chrysler Jeep Dodge Ram, at 1945 Interstate 10 S, Beaumont, TX 77701, where we are always eager to assist you. We can discuss vehicles here in our showroom, over the phone, or through our website. Getting to know all of you in the greater Vidor, Nederland, Orange and Port Arthur areas is always an enjoyable experience for us, so stop in during our scheduled business hours, where we can continue the conversation, and answer any questions you might have. Or give us a call anytime at (409) 840-3550. Get approved for a auto loan near Beaumont TX for a new or used car, truck or SUV. Apply for auto financing online or call (409) 840-3550 today. We know you that driving home in the vehicle of your dreams is a top priority (and it definitely should be), but you also want to make sure you have all the details sorted out when it comes to financing. To put your mind at ease, our car loan and Chrysler, Dodge, Jeep and RAM lease specialists are here to help you achieve your goal. We’ll take the time to help you understand your options, and find the right plan for you. It’s all a part of the Mike Smith Chrysler Jeep Dodge Ram experience as we get you closer to turning your dreams of ownership into reality. 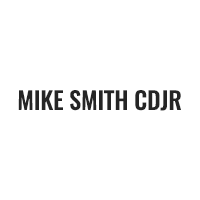 Mike Smith CJDR makes auto repairs & maintenance near me easy and affordable. Our team of automotive experts have thorough knowledge of all repairs and maintenance on Chrysler Jeep Dodge and Ram trucks. Schedule auto repairs service online or call (409) 840-2649 to speak to a service advisor today.